Despite many successes in treating paediatric cancer, young children remain at high risk for developing severe, long-lasting impairments in their brain, heart, and other vital organs from chemotherapy and radiation treatments. In adults, however, these tissues are relatively spared. This disparity creates a complicated balancing act for doctors – administering doses high enough to have a chance of curing young cancer patients while minimising the risk of long-term cognitive and heart damage. This “therapeutic window” is particularly narrow in infants and young children compared to adults, whose vital organs are more resilient to intense treatment. 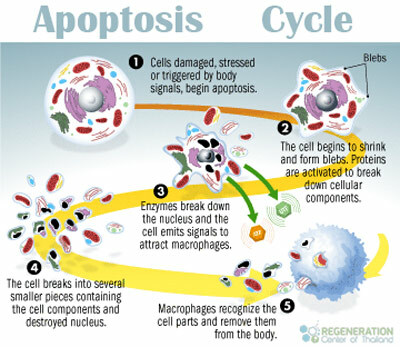 Apoptosis, in which molecular signals order cells to self-destruct, plays an important role in deciding the “fate” of a developing cell – that is, its final form and function in the body. For example, apoptosis allows the “pruning” of brain cell connections that aren’t needed or productive in the fully formed brain. But active apoptosis in the early brain “also sets the stage for extremely high sensitivity to any type of damage or stress, especially that induced by radiation or chemotherapy,” said Kristopher A. Sarosiek, PhD, an assistant professor of radiation biology at the Harvard T.H. Chan School of Public Health, and first author of the paper. He was formerly a postdoctoral fellow in the Dana-Farber laboratory of Anthony Letai, MD, PhD, who is senior author of the publication. Cancer cells, however, often die through apoptosis (type of cell death in which the cell uses specialized cellular machinery to kill itself) when attacked by chemotherapy, radiation, and other treatments, although cancer cells try to escape the death orders by activating “pro-survival” signals to countermand the death commands. Letai previously developed a test called BH3 profiling that can measure inside any cell the relative dominance of pro-survival or pro-death signals, which are mediated by a family of proteins. Proteins called BAX and BAK are key “executioner” molecules that signal cells to self-destruct. A cancer cell in which apoptotic death signals are dominant, is said to be “highly primed” for self-destruction and therefore easily killed by therapy, while a cell with low priming is more resistant to death or damage. In a new study, Developmental Regulation of Mitochondrial Apoptosis by c-Myc Governs Age- and Tissue-Specific Sensitivity to Cancer Therapeutics, the researchers measured the priming of cells in normal cells and tissues. They found that in most normal adult tissues, including the brain and the heart, the machinery needed to perform apoptosis is nearly completely absent. In contrast, this molecular machinery is abundant in newborn and very young rodents. As a result, brain and heart cells were therefore much more vulnerable to undergoing cell death when exposed to chemotherapy or radiation. Human brain and heart cells are most highly primed for apoptosis until 4 to 6 years of age, said the researchers, making that period prior to that the most risky for treatment-related damage. After that, priming continues to be reduced, but tissues don’t become firmly resistant to damage until closer to adulthood, they said.